The serve toss in tennis gives many players problems. This is because it is accomplished with the nondominant hand and is an unnatural motion. Furthermore, the toss needs to be placed in a certain location to hit the ball. If you cannot toss accurately, you cannot serve, period. You can have the best service motion in the world and it won’t make a difference. For this reason, the serve toss is of critical importance on the serve. 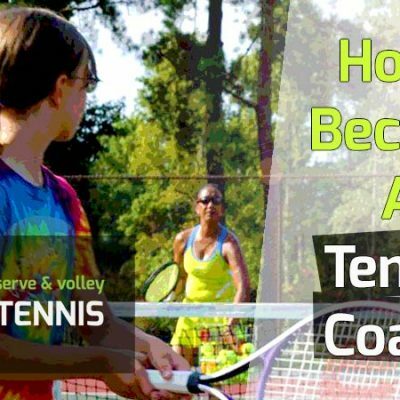 Most coaches and players don’t emphasize it enough, focusing on other aspects of the tennis serve instead. 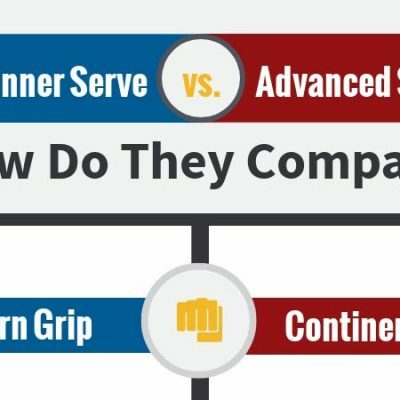 To have a reliable serve toss, we need to focus on the following components. Do these seven components correctly, and you’re guaranteed of a great service toss every time. If even one of these components is not carried out correctly, the toss placement will be sacrificed. I will go over each component in this post. Before we are done, I’ll give you three tossing drills you can do to practice your toss on or off the court. If the toss is something that has been troubling your serve read on. 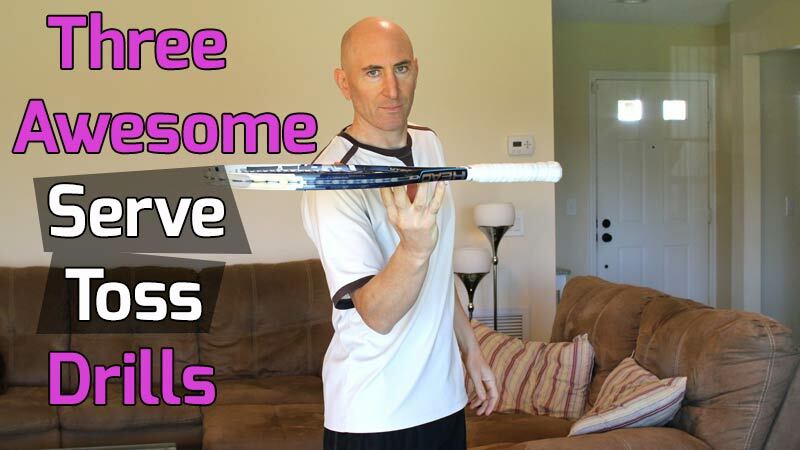 If you’re new to tennis and want to know the best way to toss on the serve, read on as well. The best way to hold a tennis ball during your serve toss is in the fingertips. You should never let your palm touch the tennis ball. If your palm touches the tennis ball, you won’t have as much control. All great servers toss from the fingertips. You don’t need to squeeze the ball too tightly or hold it too loose. Just a medium squeeze is fine. I like to use all five fingertips to hold the ball. It’s very important that you keep the hand and wrist allotted in the same position during the toss. The position of the hand and wrist will be the same at the beginning and end of the toss. Once you set your feet in the proper position and align your shoulders away from the net, you’ll be ready to start the serve and the toss. I’ll assume everyone is right-handed. If you’re a lefty, do the opposite. Start with your left arm (the tossing arm) at your left thigh. The back of your hand should rest on your thigh, with the ball in your fingertips, like we mentioned in step 1. Some players like to start with the hand on the inner thigh. Some start from more directly on the thigh. And some players start their toss a few inches off the thigh. If you feel more comfortable starting a few inches off the thigh, that’s fine. As long as your arm is perfectly straight at this point, you’ll be in a good position to make a great serve. I teach beginners and children to start from the thigh because it’s easier to toss from a fixed object then in the air. However, I typically start a few inches off the thigh myself and make accurate tosses, so it can work as well. 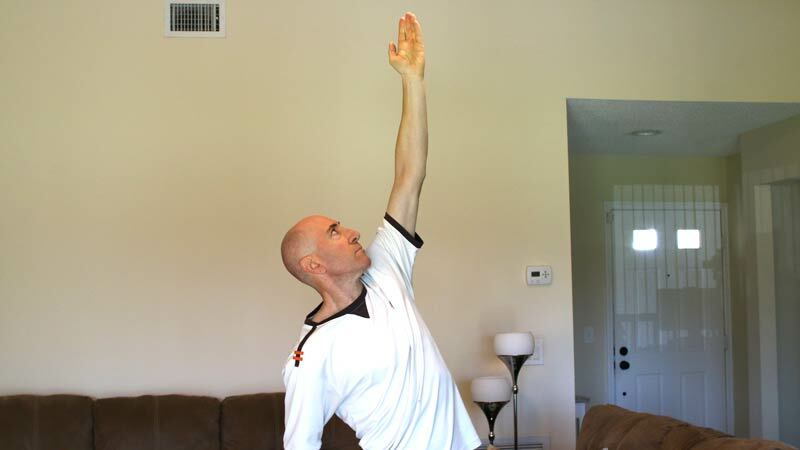 When you begin the toss, keep your arm loose and resist tightening up your muscles. Breath and visualize the perfect toss. The tossing arm (your left arm) must be kept straight through the duration of the toss. This means from the beginning at the thigh until the arm is fully outstretched over your head. If the arm bends at any point before the ball is released, this will almost ensure you never toss accurately. If the arm bends after the ball is released, the toss can still be made accurately, but it’s poor technique and doesn’t look good. I see a lot of players bend their arms right after releasing the ball. You can get away with it if you’ve been playing a while and have practiced your toss hundreds or thousands of times. But if you’re a new player, or trying to correct your toss, why not just keep your arm straight until the swing is initiated, like the pros do? It may seem uncomfortable at first, but with enough practice, it will feel more natural. Practice tossing with a straight arm for many reps (at least 100). I would suggest not even using a ball at first. Just get the feeling of what it’s like to move your arm completely straight from your thigh to straight above your head. Once it begins to feel natural, you can add the ball and toss it. Have someone watch your toss, or video yourself, to make sure you are not bending your arm. Keeping a straight arm throughout the toss is the distinguishing characteristic of an excellent service motion. Remember, it’s absolutely crucial not to bend the arm before the hand releases the ball. Now that you know how to hold the ball, the ideal place to start the toss, and that you need to keep your arm straight, in what direction does the arm move? While there is no one right direction, I am going to suggest a 45-degree angle from the baseline. The extremes would be tossing parallel to the baseline or tossing directly out in front of your body. My recommendation is to toss right in the middle of those two extremes. This would have the arm raise in alignment with the right net post. I find this best in my own toss, and my students, because it allows the ball to travel in front and to the right of us. This is where we want the ball to be – in about the one o’clock position to our head. You can use the right net post as your guide. Simply raise your arm in that direction. The next part is knowing at what speed to raise our arm. Most people move the tossing arm way too fast. If you do that, you certainly won’t control the ball. 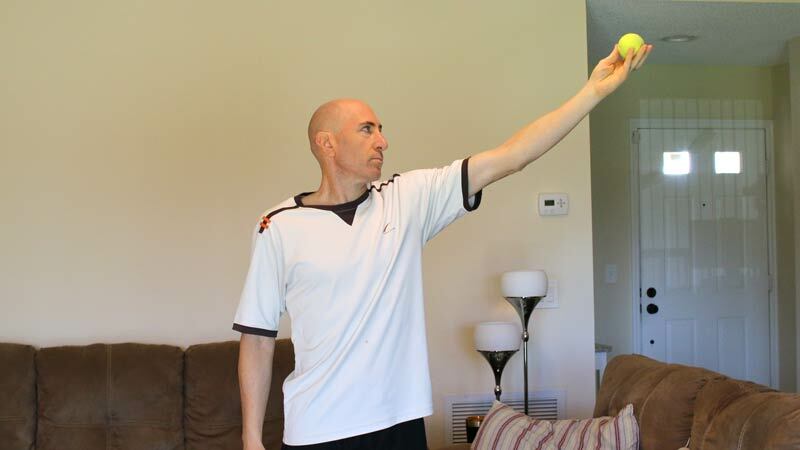 If the tossing arm is raised too slowly, then the ball will not have enough lift. The solution is to toss in the middle, at a medium pace. After the ball leaves your hand, you’ll want the apex of the toss to be about twice your height. For that to happen, your arm needs to be moving at the correct speed. Only you can judge this speed. If the ball is going to low, you’ll need to move your arm faster. If the ball is too high, you’ll need to move it slower. We’ll talk about how to find the ideal height on the toss soon. For now, know it’s about twice your height. So if you’re 6 feet tall, you’ll want to toss close to 12 feet in the air. Practice tossing until you begin to hit the right height. Sometimes the right height is determined by your swing. Abbreviated servers can toss lower while players with long sweeping service motions usually need to toss higher (as they need more time to complete their serve motion). At this point all the fundamentals are in place for a great serve toss. You may be wondering the best position to release the ball on the toss? It’s the top of your head. Most professional tennis players release the serve toss right near top of head height. This seems to be the best place to achieve an accurate serve toss. This is where I release my serve toss too. If you release the ball lower or higher than top of head height, you will diminish your chances of tossing accurately. You can probably get away with a few inches difference, but any more is running a risk. It’s best to release the ball at the same height on every serve toss. If you can cut down on randomness on the toss, it will make the toss exponentially better. I look at serve toss as a science. If we can perform the same action over and over in the same manner, we should get the same result. Good fundamentals equal a good serve toss. One thing more here. When we release the ball, the ball should still be in the fingertips. Simply open your hand when releasing the ball. It should look like a flower opening its pedals. Keep your arm and hand pointed in the same direction through the duration of the toss. Resist turning the hand or wrist. It is unnecessary and harmful to do. This might seem like a lot of information for a simple toss, but the devil is in the details. I just want to make sure you know all of the specifics. As I already mentioned, tossing to twice your body height is a good place to target for the apex of the toss. One good way to find that point is to toss near an object (like a fence) that is around twice your height. In my serve toss video, you can see me doing that next to a fence. The fence post will also serve as a good guide for where your arm and the ball should be moving along. Everyone’s serve motion is different. Some people need more time to hit the ball and others need less. Only you can decide that for yourself. 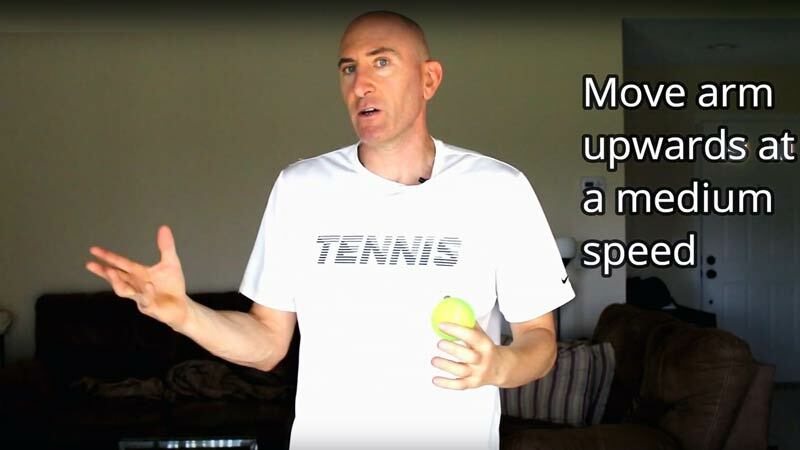 Once you have developed your service motion and can hit a serve, you’ll have a good idea if you need to toss higher or lower – or maybe the apex of the toss is just right. If you feel rushed to hit the ball, you’re likely tossing too low and need to toss a bit higher. On the inverse, if it seems like you are stalling out momentum in the trophy pose, you might be tossing too high. In this case, tossing lower might be better for you. 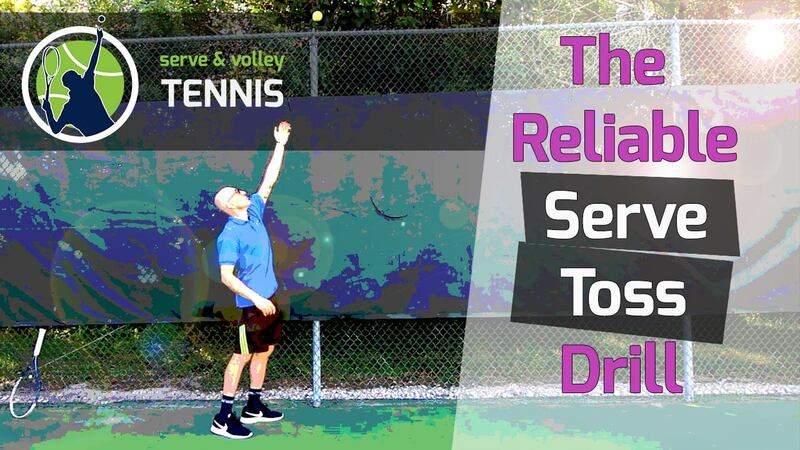 Videoing your serve is a great way to determine the best tossing height for you. A good coach can also help with this. Even an experienced, advanced level player would have good insight on this. If you feel your toss is not ideal, keep tweaking the apex of your toss until your serve motion is fluid and you don’t feel rushed. Everyone gets it in time, so keep practicing. Once the ball leaves the hand, the arm should continue rising until it is straight over your head, as high as you can extend it. If you watch the best professional players with the best serves (Roger Federer, Kevin Anderson, John Isner), you’ll see them keep their tossing arm high up in the air until the swing initiates. I would say 75-80% of the recreational players I see drop the tossing arm too quickly during the serve. While players can get away with this and still hit a good serve, it will affect the service motion negatively to a degree. There’s a reason why the top servers leave their tossing arm up in the air that long. If it works for them, we should model their technique and do the same. It may feel unnatural at first, but again, with practice it will feel more natural. You only drop the tossing arm when the swing begins. At that point, the tossing arm will bend and retract to the left side of the body. 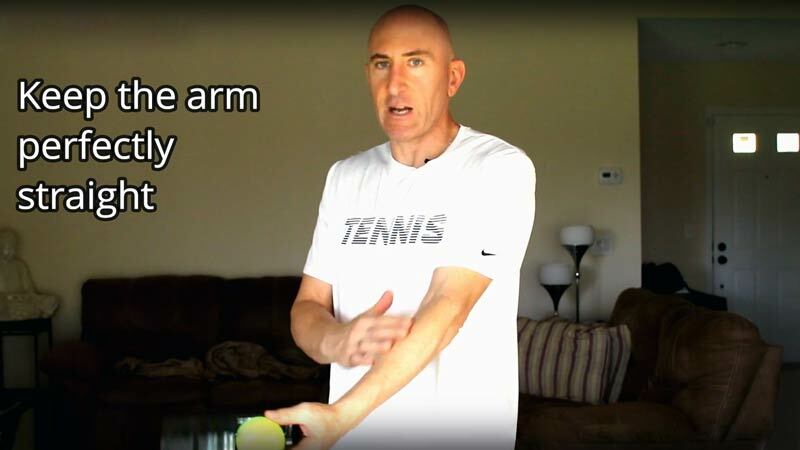 You’ll want to keep the tossing arm close to the body, so the right arm and racket can move past it at the completion of the swing. 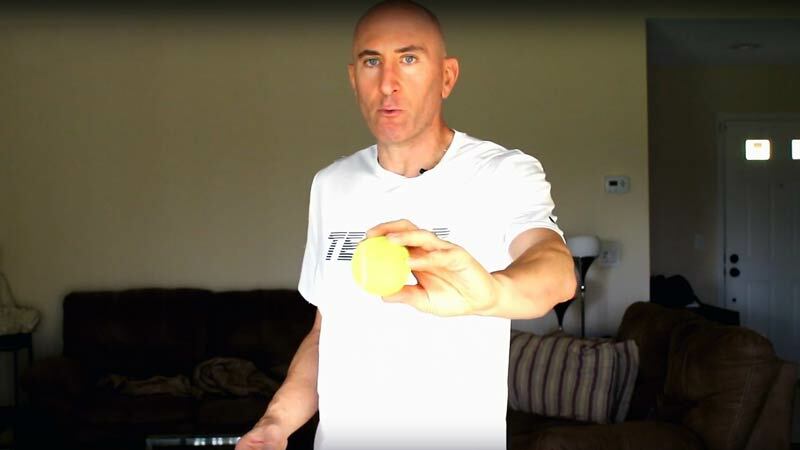 In this drill, you’ll set up in the proper serve stance with a tennis ball. This drill can be done anywhere you have the room to toss. You can do it at the tennis court, in your home, your backyard or anywhere outdoors. All you need is one tennis ball; a racket is not needed but you can hold one in your dominant hand if you want. Toss the ball utilizing all the fundamentals we’ve talked about. After the toss is made, keep your tossing arm fully extended to the sky and catch the ball when it drops. You do not swing your racket in this drill. You’re simply tossing and catching the ball with your tossing arm. But your tossing arm remains fully extended in the air on the catch. This drill helps with two aspect of the toss. First, it helps you keep your tossing arm extended. Second, it helps with toss accuracy, as you must toss in the same location to catch the ball. It’s okay to move your arm slightly to catch the ball. But resist turning your hand or wrist, moving your feet, or bending your arm at any point during the drill. In this drill, you’ll toss a ball to the perfect apex, which is around twice your height. You’ll need to set up by a fence or object that is twice your height. All you need is one tennis ball. Simply toss the ball and make sure it is close to the high object. You do not swing at the ball or go into your service motion. 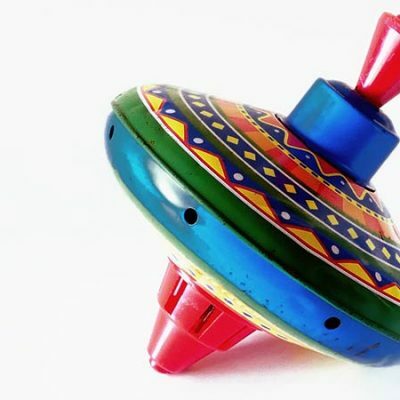 It’s only a tossing drill. At first it can be challenging. But slowly you should see steady improvement in toss accuracy. This drill is effective because it gives you a great visual of how high the toss should be and where it should be. I like to do this drill next to a fence, along one of the posts. I mentioned this drill earlier in the blog post and made a video on it. It’s a drill I have all my students do who need help with the serve toss. You have the option of catching the ball high (like in drill #1) or letting the ball drop. But you should keep the tossing hand extended throughout the drill. 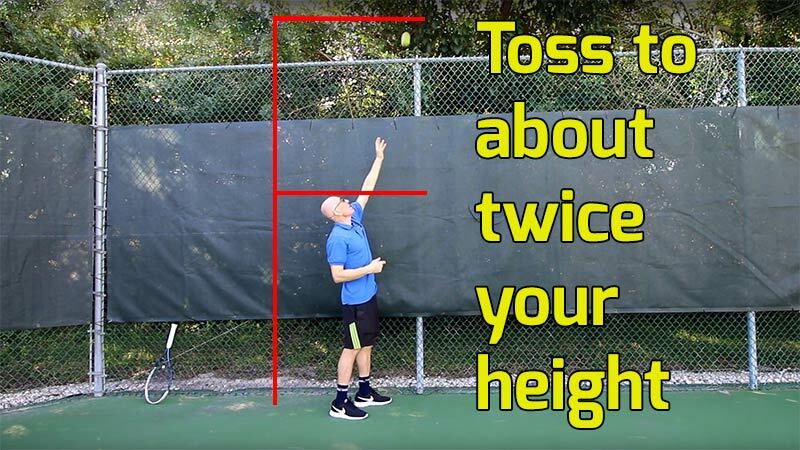 In this serve toss drill, you’ll need a fence that is at least 4-5 feet taller than yourself. Go over to the fence and set up as if you were going to serve towards it. You’ll want to be close to the fence, so your lead foot should only be about a foot away. You’ll need a racket and one tennis ball. Toss the ball as you normally would, doing all the fundamentals we discussed. Then initiate the serve motion and swing your racket into the ball. You’ll want to swing less than 100% speed. The point of this drill is to trap the ball between your racket and the fence with your right arm extended to the ideal height. Your right arm should be fully extended during the trap, but not directly over your head. It should be a bit out to the side, at about the one o’clock position. Once you trap the ball, let it down, and begin the next rep in the same way. The point of this drill is to find the correct height to hit the toss. This is a great drill to do for kids. While it doesn’t directly improve the toss, it does help give a great visual for how high the toss needs to be in order to extend the right hitting arm up to contact. Go through all the steps I outlined in this post. These are the same steps all the top servers do. Then put them all together and practice your serve toss at least a hundred times 3-4 times per week for the next 2-3 weeks. I guarantee you’ll see positive results after that time if you do the reps. Most people never improve their toss because they don’t follow the fundamentals. Even if they know them, they don’t practice them or their tosses. 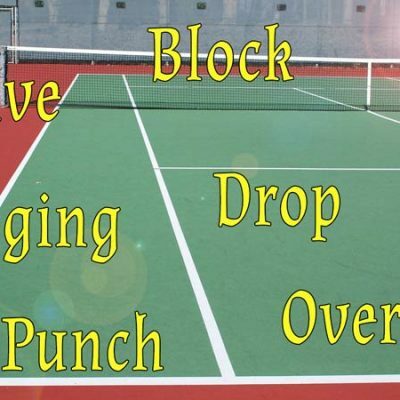 You can add the serve toss drills to fast-track your progress. By being one of the few who practice your toss, you’ll fly past your competition in terms of toss accuracy and serve quality. Once you feel comfortable and have the toss down pat, you can forget about it and focus more on your serve motion. Building the perfect serve is a step-by-step process and takes time. But it need not take you more than a few weeks to develop a great serve toss. I hope you actually follow my advice, use the information I provided, and practice. If you have any questions for me, leave them in the comment section below. I’ll be glad to answer them for you.